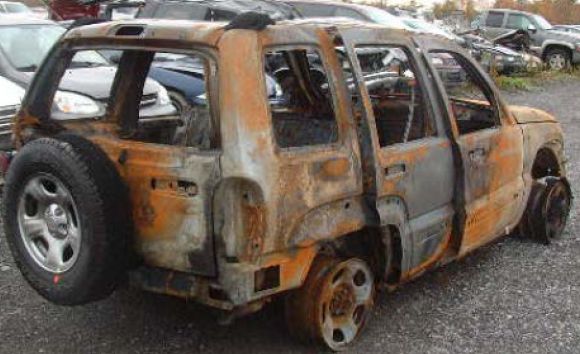 If someone in your family was injured or killed by an exploding Jeep gas tank, you may be entitled to a Jeep Liberty fire lawsuit claiming payments for your economic losses. That lawsuit can target Chrysler, whose negligence has allowed post-collision fuel-fed fires to kill and injure many Americans. Why Are Jeep Gas Tanks Exploding? You may ask “Why are Jeep gas tanks exploding?” The answer is clear: Jeep gas/fuel tanks have a defective design and placement in the vehicle. Like the notoriously dangerous Ford Pinto of the 1970s, Jeep Liberty as well as Jeep Cherokee SUVs have a plastic gas tank positioned perilously on the vehicle: below the rear bumper and behind the rear axle. Such placement for a high-clearance vehicle like a Jeep Liberty means a lower vehicle, when striking the SUV from behind, could rupture the gas tank and spill its fuel contents. A single spark caused by the collision or the vehicles’ electrical systems then could ignite the gas and cause an explosion and fuel-fed fire, trapping occupants inside a burning vehicle. Already, at least 70 Americans have been killed by such defective Jeep gas tanks. Yet Chrysler continues to insist its vehicles are safe and did not issue a Jeep gas tank recall until long after the federal government demanded it. In 2010 the National Highway Traffic Safety Administration, or NHTSA, began investigating more than five million Jeep Liberty, Jeep Cherokee and Jeep Grand Cherokee SUVs for gas tank defects. These vehicles included 975,000 vehicles which were 2002-2007 models of the Jeep Liberty and 1.1 million vehicles which were 1993-2001 models of the Jeep Cherokee. Also investigated by the NHTSA were 3 million vehicles which were 1993-2004 models of the Jeep Grand Cherokee. Ultimately, the NHTSA demanded a Jeep fuel tank recall for 2.5 million SUVS among all three forms of Jeeps. But Chrysler balked, insisting that its vehicles were not the cause of many deaths being attributed to Jeep gas tanks exploding. In June, 2013, Chrysler and the federal regulators reached a compromise. Chrysler recalled 1.56 million Jeep Liberty SUVS from model years 2002-2007 and Jeep Cherokee SUVs from model years 1993-2004. Chrysler didn’t bother to recall a million Jeep Grand Cherokee SUVs from model years 1999-2004, as the NHTSA had insisted. These recalls meant Chrysler had to repair Jeep gas tank defects in the recalled vehicles. However, Chrysler only went so far as to “apply a band-aid,” in the sense that it did not reposition the defective fuel tanks. Instead, it simply started installing trailer hitches to the back of Jeep Liberty and Jeep Cherokee SUVs as a shield in the event of rear-end impacts. Even that minimal strategy to fix the problem has not been followed through to any large extent. Eighteen months after Chrysler issued the Jeep recalls, just 12 per cent of the recalled vehicles had received the trailer hitch modification. Beyond that, Chrysler did not conduct crash tests to determine if the trailer hitch would make any difference in preventing a Jeep Liberty fire or Jeep Cherokee gas tank explosion after a rear-end collision. Meanwhile, safety experts say a metal shield or skid plate could help prevent rear-end crash gas tank explosions in Jeeps. But Chrysler has not agreed to install these. Though Chrysler has tried to minimize the problem and its responsibility, it is revealing that the automaker has changed the design on more recent models of Jeep SUVs and for years has not produced Jeeps with defective gas tanks. 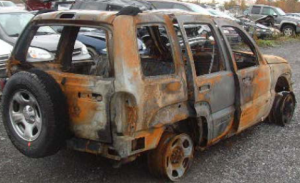 SUVs which were made largely since 2004 do not have the vulnerably positioned gas tank that’s caused so many Jeep Liberty fires, explosions, injuries and deaths, as well as Jeep Cherokee fire injuries and fatalities. The Willis Law Firm believes Chrysler must be held accountable for its negligence in designing and manufacturing such dangerous vehicles. We stand with the families of injured or killed Americans and will pursue Jeep Liberty and Jeep Cherokee lawsuits on their behalf. Our law firm has decades of experience fighting for Americans’ rights after negligent automotive manufacturers caused them harm. Contact us today and get a free case review sizing up your potential Jeep Liberty fire lawsuit or your possible Jeep Cherokee gas tank explosion lawsuit. We can provide you with an injury lawyer or attorney to handle your case and fight for your legal rights to gaining such economic compensation as payments for your medical costs, lost salary and pain and suffering. Indeed, we’re here to help. Contact us and let us get started.